A former Chairman of the Peoples Democratic Party’s Board of Trustees, Chief Tony Anenih, says the military administration of President Muhammadu Buhari kept him in jail for 18 months between March 1984 and August 1985 because he was a rich man. Anenih said this in his biography titled, ‘My Life and Nigerian Politics’ which was launched in Abuja on Saturday. “The military regime of General Buhari and Tunde Idiagbon threw me into detention for 18 months on the basis of an anonymous petition that as a prominent and wealthy politician and leader of the NPN in Bendel State, the military administrator would not find his footing unless I was removed from the scene. The retired police officer maintained that he did nothing wrong to warrant such treatment. 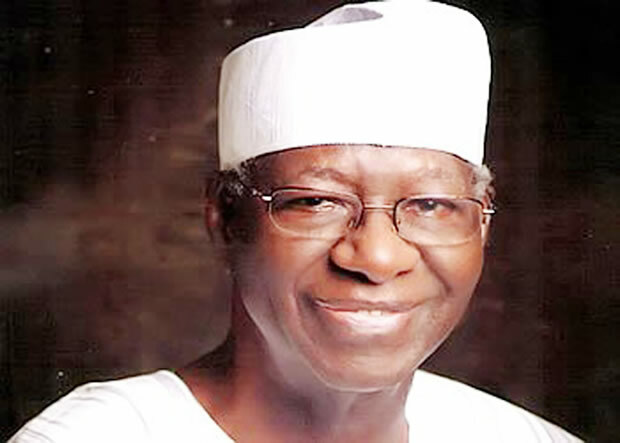 Anenih, who later served as the minister of works and housing under former President Olusegun Obasanjo from 1999 to 2002, said while in detention, he met other prominent politicians like former Governor Lateef Jakande of Lagos State, former Governor Olabisi Onabanjo of Ogun State; ex-Governor Bola Ige of old Oyo State; former Vice-President Alex Ekwueme, ex-Governor Ambrose Alli of old Bendel State, Chief Solomon Lar and many others. The ex-minister said their cells were bugged by security agents who monitored their conversation. The PDP chieftain said the worst part of the detention was that some governors who had sentenced some criminals to death were locked up in the same cells. “We were transferred to Ikoyi Prisons because of the riot that took place while we were there. The condemned prisoners whose death warrants had earlier been signed by Alhaji Lateef Jakande when he was governor of Lagos State, broke loose on sighting him as one of the detainees. The ex-minister, who gave an insight into the living condition of the politicians in detention, described the experience as hellish. He added, “Where we were staying, the bucket latrines or toilets had opening to the rooms. These buckets were emptied maybe once a week from behind, and if for any reason the buckets were not emptied once a week as the rule, you lived with the stench.